On Saturday, Google Developers Group (GDG) Islamabad hosted International Women Techmakers conference at Telenor 345 HQ in collaboration with Telenor Velocity and S&P Global. The event started off with a Keynote Address by Muhammad Bin Masood who is currently the Manager of GDG Islamabad. He emphasized that Women Techmakers is one of the events which highlights the success stories of women who are creating a change in society by challenging the status quo. 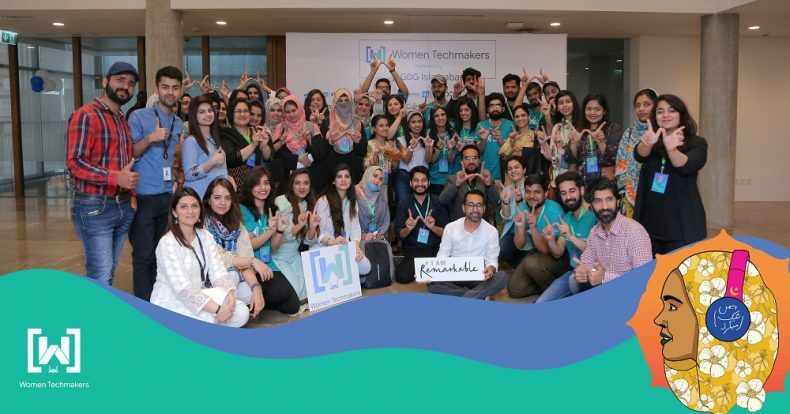 His address was followed by a talk by Telenor’s Chief Digital and Strategy Officer Sardar Abubakr in which he highlighted that the current participation of women in tech stands at just 14% and events like Women Techmakers will encourage women to acquire tech-based education and skills. S&P Global’s Director – Centre for Automation, Robotics, and Extraction (CARE) – Chief Data Office Saif Arshad also discussed opportunities at his organization and said that an investment in women is an investment in us all. Afterwards, the session went on towards Lightning talks which shared the journeys of Asna Javed, Lead Developer IBM Pakistan, Azka Ather, Team Lead – AUJ Formula Student, and Umair Khurshid, 4o1 Bakers. The event then proceeded towards a panel discussion and afterwards ambassadors of Women Techmakers were announced.